This page should help you get a feel for our events. We hope you will then want to join us at the next event. A typical Mello Event will offer access to 50+ high-quality growth companies usually from AiM or fully listed small and mid-cap companies. We pair this with engaging outstanding keynote investment industry speakers, to educate and inspire on the latest market subjects. 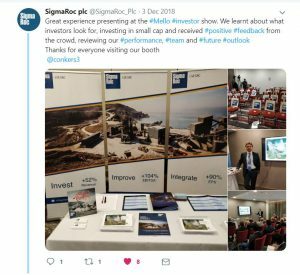 Our events appeal to both private investors who can enjoy a day or two of immersive investment and also to proactive listed companies that want to meet and engage with their shareholder base. Created by investors for investors, the story of Mello from David Stredder…. 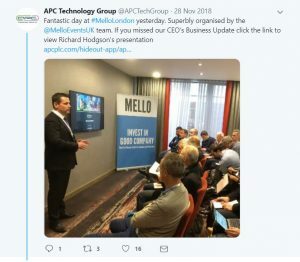 I have been investing for nearly four decades now and the landscape has changed dramatically from newspaper columns and teletext share prices all the way through to the superb resources we have at our disposal today… not least many of the data providers here at Mello 2018. However, I have always maintained that meeting management and ‘looking under the bonnet’ and ‘kicking the tyres’ of each company in which you see potential is vitally important. 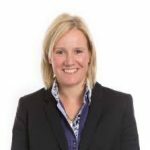 The City and Institutional holders always appear to have access to directors whenever they required and certainly received results presentations whereas to smaller individual investors, vital for liquidity in stocks below the FTSE 350, never seemed to get the same privilege. I wanted to change the way convention so the AGMs were not seen as our one and only hour to question the management of the companies we actually owned. We run professional investor events that allow individuals and private investors access to some of the UKs most exciting junior and small cap companies. We provide a fantastic platform for companies to engage their retails shareholder base directly. We provide our companies with state-of-the-art venue locations, and “all-in” service, providing the space and time to chat and present to serious and analytical investors. We look to make investing inclusive, and design our events to ensure there is a warm ‘community’ feel. Whether you have been investing for many years, or are new and want to explore the area, you will be sure to find Mello helpful and inviting. We aim to attract both investors that are ‘serious’ about investing, and companies that look to have positive prospects. We make our events fun. We have in the past run engaging sessions such as panel talks, Pub Quiz, Q&As, Stockopedia StockSlams, Awards Evenings, and evening entertainment to give the best possible experience. We are aiming to promote the investing community. When creating our events we look to find a sociable and modern location that lends itself to networking and meeting other fellow investors. 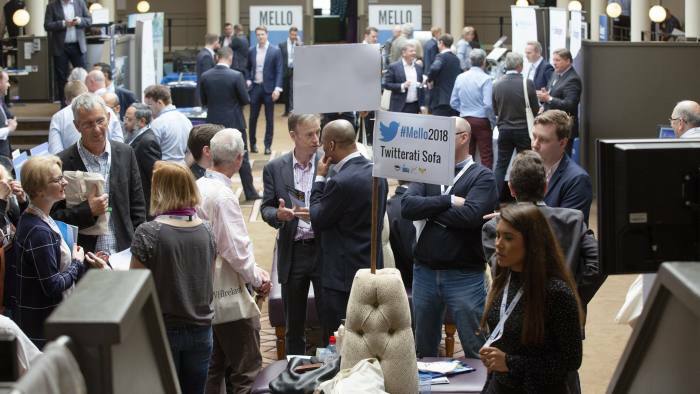 You will find it easy to meet other like-minded investors at Mello, as the atmosphere is very inclusive. We have an active online following, via Twitter, and we provide areas that allow the social media users to meet up face to face. We provide a busy and varied schedule during the course of the events. There is always lots to do, and we feature both well known stocks as well as less covered companies that we feel have a good story to tell. We run at least two events per year, and sometimes it will be more. Use the button below to view our next event's details. 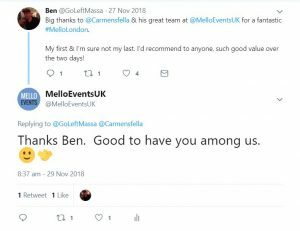 OF MELLO EVENTS: "these are by far the best investor shows for both institutions and private investors in the UK, now"
"the two-day Mello 2018 event.. was in a different class. Here, there was quality stamped right across the schedule: from the speaker line-up and company presentations to the packed-out panel discussions.. David Stredder and his team made it look effortless. Their planning meant Mello 2018 felt like a social occasion as much as anything else." In Derby we were reviewed by the Financial Times. You can read the article in full by clicking the button below.
" The April event was a sellout with more than 500 attendees — 50 per cent higher than last year — including 50 company bosses. Gervais Williams, a fund manager who specialises in small- and micro-caps at Miton and one of the headliners, said Mello had “come of age” "
Mello London featured a forensic accountant, Steve Clapham, from Hardman & Co.
" ‘CAKE’ was the order of the day when Steve Clapham participated in a panel discussion regarding the recent near collapse of Patisserie Valerie. He was joined by David Scott, who sold his business to Patisserie Valerie, and an auditor." FT columnist, John Lee writes on Mello and coping with profit warnings. "This highly entertaining event ... had 500 or more investing enthusiasts and 50 companies either presenting or available to talk at stands. There was a real buzz about the place."